I’m sure we all remember those sugary cereals we all enjoyed as kids. And the TV commercials made us want to eat them morning, noon and night. I can vividly recall Saturday morning cartoons being interrupted with advertisements for the latest cereals from General Mills and others. One group that fit right into the cartoon genre was the not-so-scary monsters of Count Chocula, Franken Berry and Boo Berry. I have no idea how many boxes of them I ate during my pre-teen years, but it had to number in the hundreds. 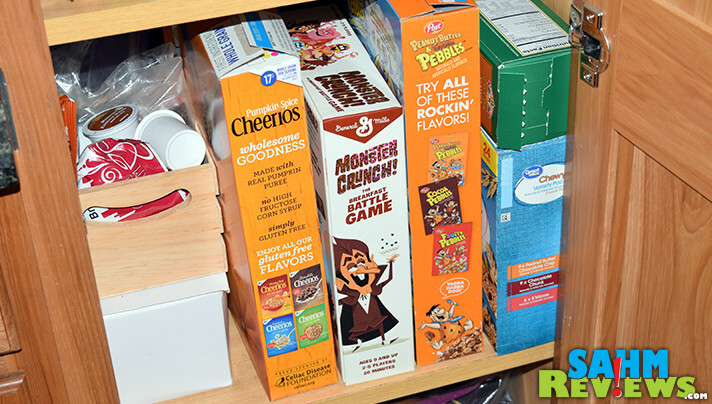 Today you can only find these cereals on the shelf during the Halloween season when General Mills brings them back in limited quantities. I may know a couple people that stock up so they can enjoy a bowl or two year-round. 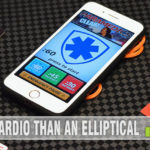 Big G Creative noticed this obsession with the classic products and has recently released a card game where you can actually play as one of the famous cereal spokesmen! 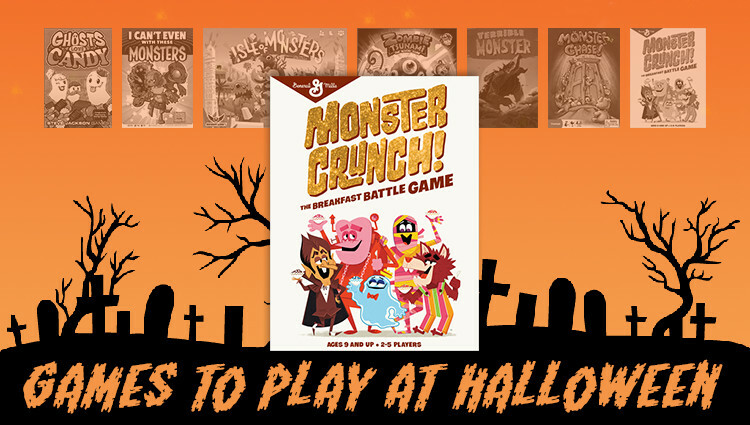 Our third game in our series about games to play on Halloween, Monster Crunch not only serves that purpose, but will probably have you setting aside the candy bars and pouring a bowl of nostalgia for yourself! 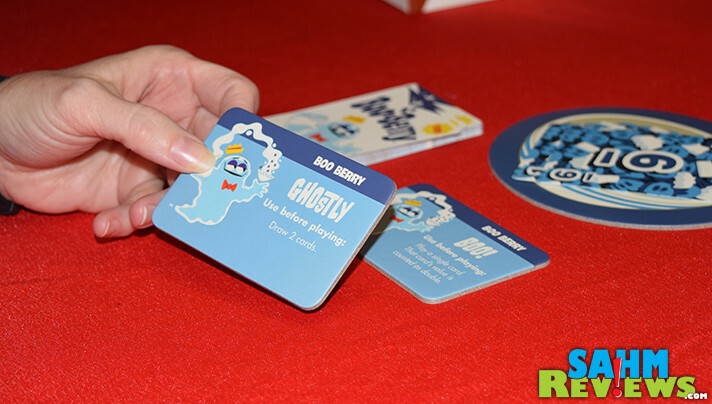 You and up to four other monsters each choose a character to play and take the matching Cereal Cards, Cereal Bowl Placard and Monster Power Placards, placing them in front of you. Shuffle your deck of Cereal Cards and draw a hand of twelve without showing your cards to other players. Everyone also begins the game with one Milk Token and the rest are put in the center of the play area within reach of all. 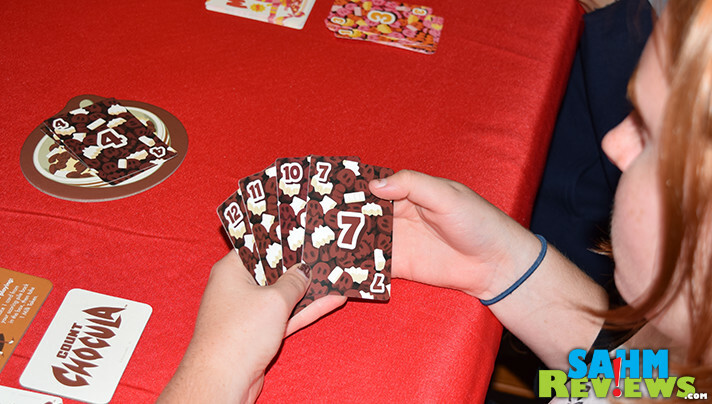 A full game of Monster Crunch is played over three hands, with each hand being divided into multiple rounds. The first player of a round plays any card from their hand into their Cereal Bowl. Subsequent players must now play a card equal to or greater than the most recently played Cereal Card. If they cannot, they must pass and are out of the round. As a consolation, that person receives a Milk Token into their supply. If you have a Milk Token in your possession, you can use it to combine cards to submit greater numbers. 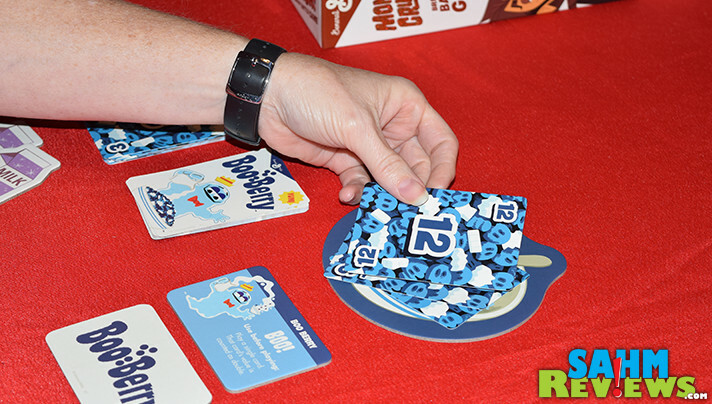 Each Milk Token you play allows you to add one additional card to your play, and must either be the exact same value or the next one numerically. For instance, you can play two 5’s to sum up to ten, or a 6 and 7 to create thirteen. 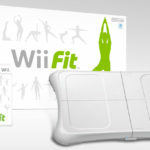 The next player must now meet or exceed that higher number! A round is over when there is only one player left. 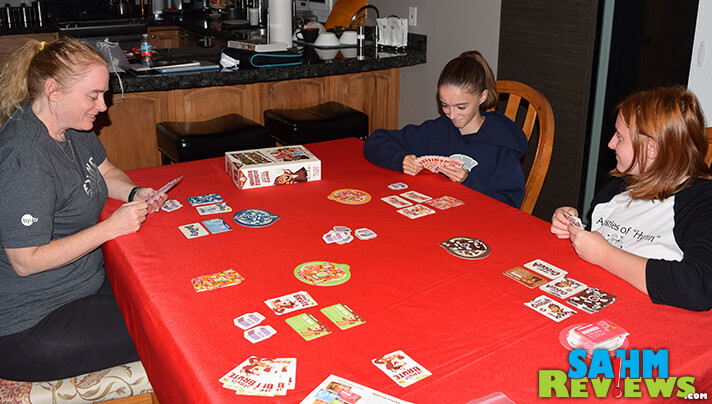 Everyone moves the cards from their Cereal Bowl to an area next to them, face-up, which becomes their scoring pile. A new round is started in the same manner by the person who was last in the previous round. This will continue until one player is completely out of cards – this ends the hand immediately! Again, all cards currently in Cereal Bowls are moved to their respective scoring areas and any cards left in players’ hands are discarded and removed from the game. A new hand of 12 is dealt to everyone and a new round is started. 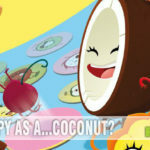 Each character in Monster Crunch has a unique power that may only be used once in the entire game. These might allow you to draw extra cards or receive additional Milk Tokens. Once the ability is used, discard the Monster Power Placard so you aren’t tempted to utilize it again! At the end of the third hand, players count how many cards they have in their scoring piles. You receive one point for each card, no matter the value printed on the face. 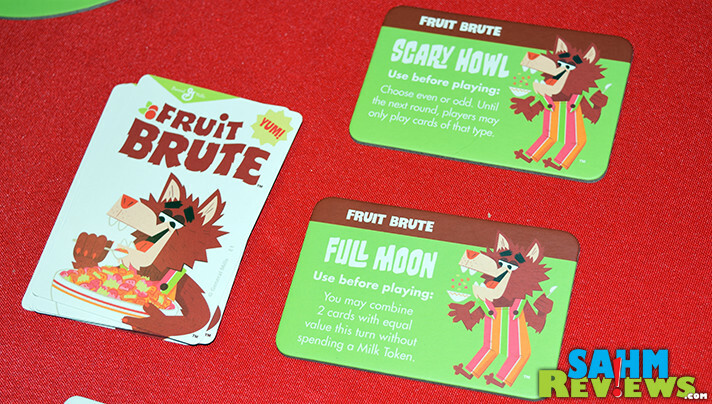 The monster with the most cards in their pile is declared the winner of Monster Crunch! 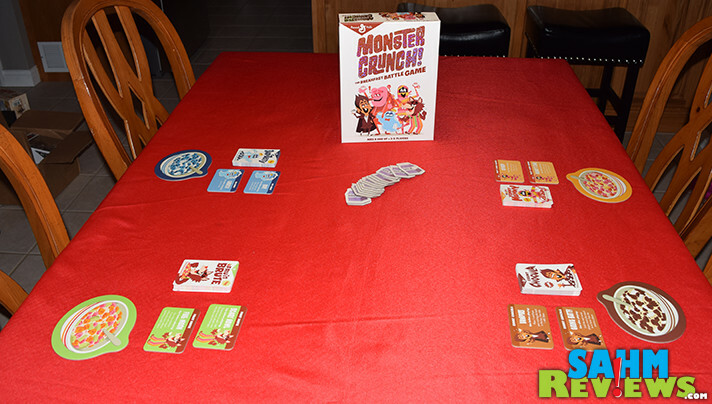 Expect a game of Monster Crunch to last around 20 minutes and although advertised for ages 9+, can easily be enjoyed by kids much younger as long as an adult is around to explain the rules. While you can find copies on Amazon from 3rd party sellers, Monster Crunch is currently a Target exclusive and rings up at under $20! We’ve seen some cool things coming out of Big G Creative, many of which you’ll see featured here on SahmReviews. Check out their website to see what other licensed titles they’ve recently created, and follow them on Facebook and Twitter to see what’s coming out next! Which was your favorite? Count Chocula? Franken Berry? Boo Berry? Embrace Halloween; Decorate with Fog! It’s so funny you did this post. The name of my blog is Honeycomb Moms, and after I purchased the domain name, I panicked that people would think we were associated with the Honeycombs cereal. I love that cereal! So far I haven’t gotten any questions on it though. We are a cereal loving family in this house so I think my husband and I would love to play this! I think I remember eating Count Chocula as well. 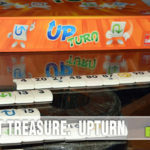 What a great game for cereal lovers! If I tell my husband about this, I will be in trouble. I think all of his favorite things have been combined. Cereal, games, and collecting things. I would play this with my kids. We eat massive amounts of cereal here. Great game! Boy, does this take me back! I will be wanting to have a bowl of cereal while playing this game. Kids will love these games! Back to memories. I wish I had all the money I spent on all these cereals. I’d be rich. I had 5 kids in the house when these all came out and of course I had to buy them all. Cereal was probably the thing I bought most during that time, plus milk, whenevet they used it. A lot of dry cereal eaten in the house. Boo Berry was the favorite. Would love to sit down and share this with the grandkids. This looks like a fun game to play! We love cereal and this would be fun to play with the family. We love games in our home. The kids would flip over it. Would be the a perfect family gift from Santa. We love doing a family gift that we all share. Looks like a fun theme!